Short note: Sorry for neglecting Blogspot! Been a little too busy recently, and just couldn't find time to update both blogs. I've been active and busy though! If you haven't subscribed by email (to the right), you can also find me on Instagram to stay updated on what I'm playing with, testing out, and swatching from day to day! Super-popular Korean beauty brand Etude House has come up with 2 new 10-color palettes that take fashionable young women through all kinds of occasions, from school and work, to play. 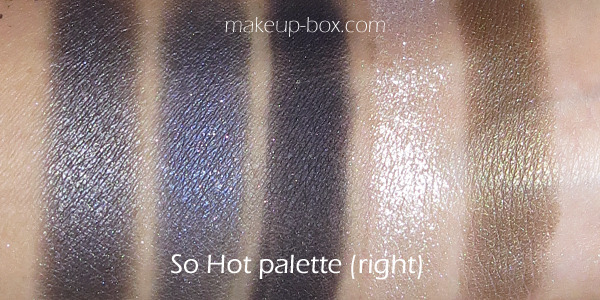 The 10 colours in the So Hot Palette #1 include: Party Gold, Burning Red, Temptation, Naked, Pony Tail, Modern City, Chic Blue, All Night, Snow Queen and Military Khaki. 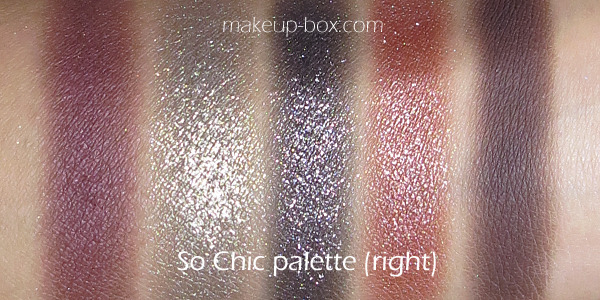 The 10 colours in the So Chic Palette #2 include Clutch Brow, Coco Brownie, Pop Champagne, French Kiss, Misty Rose, Diva, Glam Forest, Midnight Star, Sparkling Wine and Leopard Brown. I don't really need to say too much; these palettes are very smooth and pigmented and the swatches will speak for themselves! There are a couple of shades in each palette which will be less pigmented or chalkier than the others, but most of them are very rich and smooth. 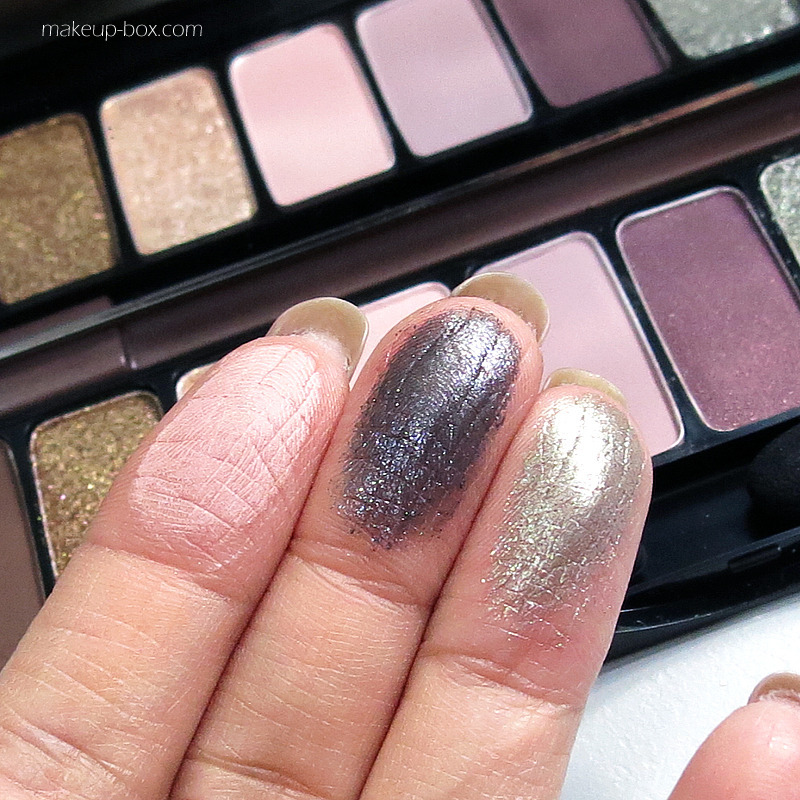 The sparkly shades are especially gorgeous and remind me of sparkly shadows from Japanese brands like RMK and Shu Uemura. 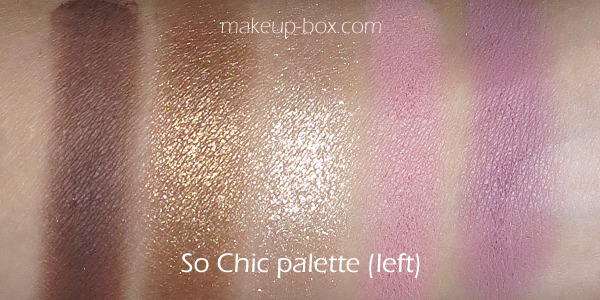 My personal favorite is for the So Chic palette (#2) because the shades are more wearable over all. 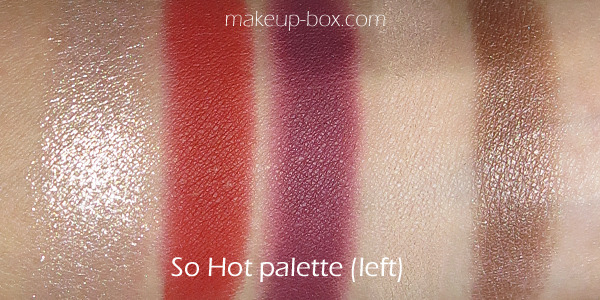 If you prefer a few more dramatic shades like red and burgundy, then the So Hot palette (#1) is for you! 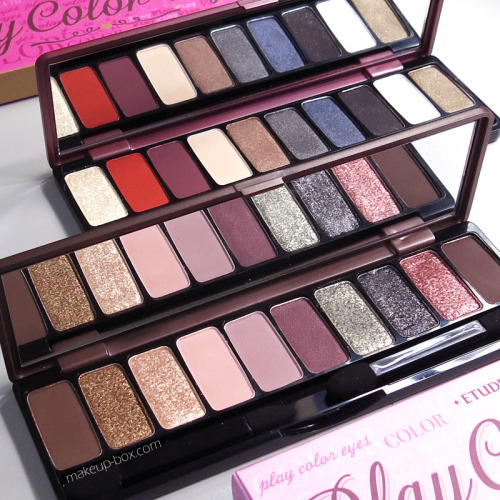 Both palettes are available from 2 Feb 2014 for S$37.90 each.